Nancy has an uncanny way of telling stories. Different, often kooky and profound, she plucks out unique moments of life and then paints each tale with her rich voice and intensely compelling melodies. "Nancy has an enchanting softness in her vocals that effortlessly seduces the listener as she boldly stands lyrically naked and vulnerable within the music. Her high level of intensity is involving, compelling and infectious." A recipient of ASCAP's emerging songwriter award, she has packed rooms that include Manhattan's Shine, Mercury Lounge and Living Room. She is also extremely proud to be co-founder and creator of www.labelfreeradio.com, a new project geared towards promoting and launching the careers of independent artists of all genres. 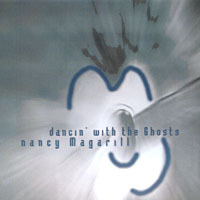 For the past 1 1/2 years Nancy has been composing for the Classical Studio productions and NYU. She is currently in the studio with the Sirius String Quartet recording the next record.